In Episode 6 of the Native Waters on Arid Lands podcast, we speak with Trent Teegerstrom of the University of Arizona about his work in Tribal Extension Programs. 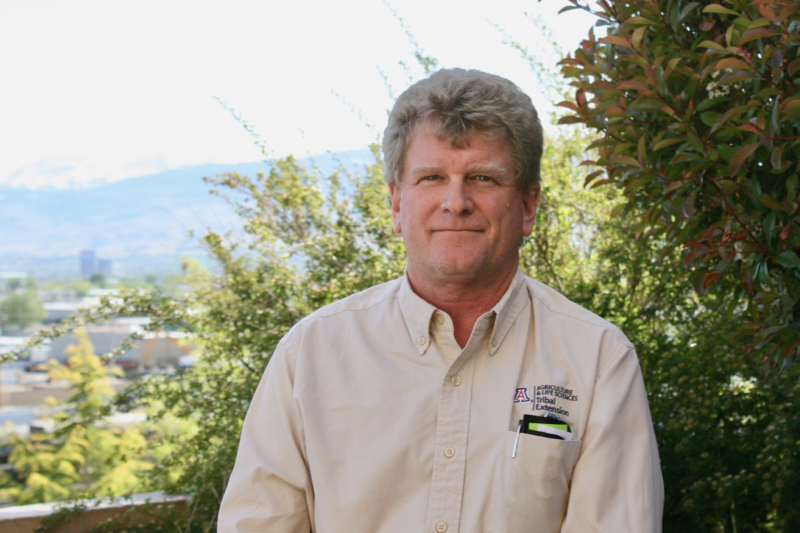 Trent is the Associate Director of Tribal Extension Programs at the University of Arizona in Tucson, and an Agricultural and Resource Economics Extension Specialist. Listen to the podcast and read below to learn more about Trent and his work. You can subscribe to this podcast on iTunes, Google Play and Stitcher. Trent Teegerstrom, Associate Director of Tribal Extension Programs for the University of Arizona, has been working with tribes for more than 20 years. On the Native Waters project, Trent works as part of the outreach team to connect information from scientists with the people on tribal reservations who need it. At the annual NWAL tribal summit and other workshops, Trent has served as the moderator for discussions about agricultural production economics, tribal rangeland and livestock conservation practices, and adapting agriculture to increasing variability of water supplies and warming temperatures. 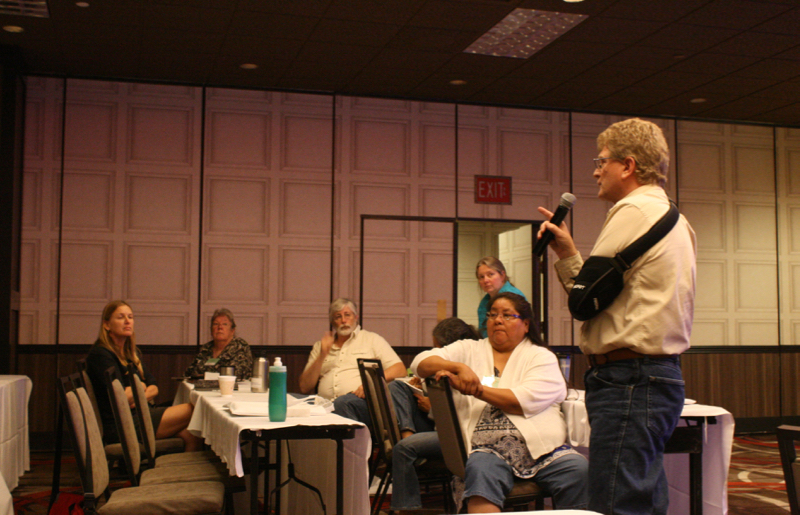 Trent Teegerstrom leads a discussion at the 2017 NWAL Climate Resilience Workshop in Reno, Nev.
Trent works through the Federally Recognized Tribes Extension Program (FRTEP) to connect with tribal members on various reservations in Arizona and New Mexico. FRTEP, as Trent explains in the podcast, places agents on reservations, where they live and work in the community. Some FRTEP programs have been in place for more than 25 years, and have built long-standing relationships with tribal members. For the Native Waters project, FRTEP plays a key role in allowing the team to quickly and effectively connect with individuals from tribes in different regions of the southwest. The most interesting thing so far for Trent about working on the Native Waters project? Video: Moving Forward on Federally Recognized Tribal Land. Learn about Trent Teegerstrom’s work with the Federally Recognized Tribes Extension Program. To learn more about Trent’s work with the Native Waters on Arid Lands project, listen to podcast episode 6, below. Music for this podcast came from Podington Bear (song title: Bit Rio) on the Free Music Archive under a Creative Commons license. For a written transcript of this podcast, please contact kelsey.fitzgerald@dri.edu.